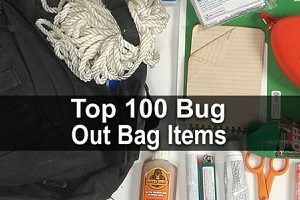 Here it is, the ultimate list of bug out bag items! 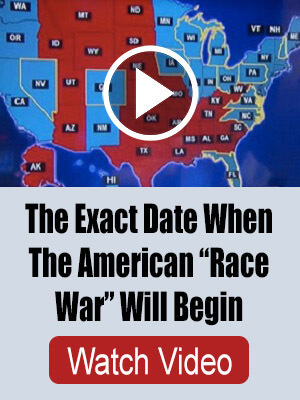 Now to be clear, this is not a checklist. It would be very difficult to squeeze every one of these items into a single bag, nor should you. Rather, it is a list of suggested items from which you could create any number of awesome bug out bag configurations. Make sure you use a bag that is durable and large enough, with multiple compartments and a frame. For more info, check out these 5 things to consider when choosing a bug out bag. This is why people also refer to bug out bags as 72-hour kits or 3-day survival packs. Most short-term disasters will allow you to return home or get somewhere safe in three days or so. If possible, pack enough for even longer. While you want to pack enough to last several days, you don’t want your bag to be so heavy that you’re unable to carry it all day (or climb fences, run from danger, etc). 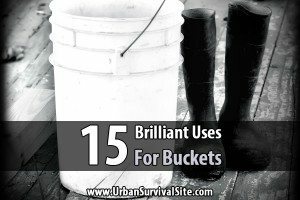 As a general guideline, your bug out bag should be around 15% of your bodyweight, which is about 30 pounds for the average guy and 25 pounds for the average gal. However, you could carry a few more pounds if you’re in good shape. If you expect to be walking across large, flat parts of the country, it’d probably be okay to add a few more pounds whether you’re in good shape or not. But if you’re bugging out in an area with lots of hills and mountains, try to make your bag as light as possible. With that in mind, here are 17 things you shouldn’t put in your bug out bag. Make sure you have at least two ways to start a fire, purify water, cook food, light your path, and so forth. However, this doesn’t mean you should bring two of the same thing. If you bring two of the same model flashlight and one breaks, the other is liable to break, too. As Graywolf Survival said, “Carry redundant capability, not redundant gear.” Bring two different types of flashlights or light sources. Also, be sure to distribute your backup items among multiple people if you’re in a group. In other words, you carry the Solo Stove while your spouse carries the alcohol stove. That way if one of your bags is lost, damaged, or stolen, there will be another cooking method in the other bag. Remember the last time you packed your suitcase before a long trip? You probably packed it very neatly with everything in its right place, then a couple of days later, you spent 10 minutes just trying to find your toothbrush. When everything is one big compartment, it’s going to get jumbled up and disorganized. This can be an even bigger problem with bug out bags which have far more items than a typical suitcase. Be sure to make use of all the compartments, and if there aren’t many compartments, organize certain types of items into things like dry sacks, pill bottles, Ziploc bags, Altoid tins, and lightweight Tupperware. Now that that’s out of the way, let’s get on to the list. For your convenience, I organized the list into the following categories (you can click on the links below to jump to the category). I also added product tables below each category so you can see the product images and prices. 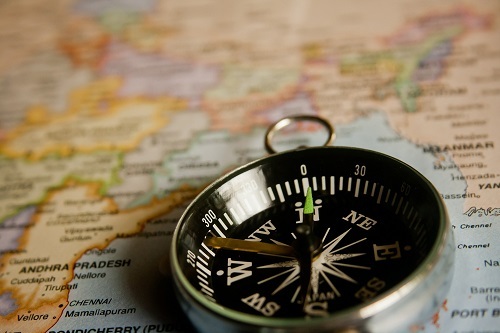 Compass – Don’t settle for a cheap compass here. Actually, invest your money in a reliable and accurate model. Not too heavy. Emergency Whistle – These are included in several cheap pre-made survival kits, but they are actually an excellent item to have on hand for catching someone’s attention on the other side of a hill or ravine. GPS Device – Go with Garmin. They simply make the best GPS devices, without competition. The best GPS device to go with will be one that also comes installed with a walkie-talkie/radio that will allow you to communicate with others on your same channel. Maps (local) – Consider having your maps laminated so they will hold up better in inclement weather. Ham Radio – A HAM radio will be one of the best tools you can use for staying in contact with the outside world. You will need to acquire a license in order to buy and operate one. Walkie Talkies – Most walkie-talkies will only reach a few miles, but they would still be useful if your group needs to split up while searching an area. They’re not as good as HAM radios, but you don’t need a license. Every single one of us should understand the vital importance of being able to build a fire in a survival situation. A fire is what gives you many things: light, warmth, protection/security, and the ability to cook food or boil water, to name a few things. And you also need light, such as flashlights or lanterns, so you can travel at night and not spend your evenings in complete darkness. Some of the items on this list are optional, but tools that can create a fire or let you see in the dark are not. Period. Book Light – A mini book light is a must if you brought a book along. This way you won’t have to use a bright flashlight or waste your flashlight batteries when all you need is a small light. Candles – The best thing about candles is how they allow you to create a fire instantly without having to deal with tinder and kindling. It’s a small fire, but it’s better than nothing. I like the tea light candles because they take up very little space. Also, consider getting some birthday trick candles. These could help you get a fire going on a windy day. FireSteel – A FireSteel will produce hot sparks in any weather conditions, even if its wet. Flashlight – Go with an LED flashlight. Maglite is a great option, and are routinely used by military and law enforcement units around the world. I chose this particular pack because it comes with a red filter, which is very useful if you’re trying to move at night without being noticed, as it’s harder to see from a distance. Also, the red light won’t affect your night vision, so if you have to shut it off and hide, you’ll be able to see in the dark better. 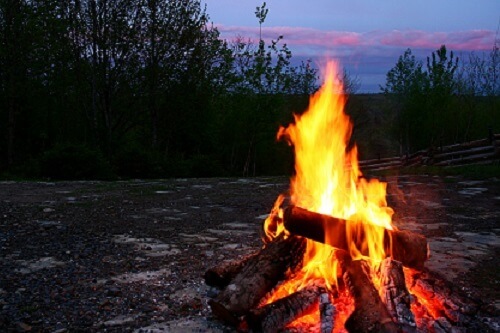 Firestarters – Cotton balls soaked in vaseline and stored in waterproof containers, such as straws or Ziploc bags, will be among the best fire starting devices you can get. It will catch a spark almost instantly. Fresnel Lens – These are great for starting fires or reading small text, and they take up virtually no space. Head Lamp – A flashlight attached to your head. What better way to travel at night now that your hands are free? Lighter – A simple Bic lighter is better than nothing, but ideally, go with a waterproof lighter with stronger build quality. Magnesium Firestarter – The magnesium flint striker is arguably the best fire starting device available, because it will work even when soaked in water. How it works is you use a knife or sharp edge to shave off a small pile of magnesium, and then you strike the striker with your knife in order to create a spark and get a fire going. Matches – Simple waterproof matches, kept in a waterproof case. Solar Lantern – A lantern, like a flashlight, allows you to see in darkness while you are traveling. But unlike a flashlight, it is better for keeping at your campsite to see in darkness because you can simply hang it from a tree. The best kind is the inflatable kind because it won’t take up much space in your bag. You can survive three days without water and three weeks without food. However, you’ll become extremely dehydrated and feel a tremendous loss of energy after just one day without them. Needless to say, without food and water, you’re simply not going to survive for long. Alcohol Stove – These are very convenient and easy to use. If you want, you can make your own from a metal water bottle. Bottled Water – Since water is heavy, I would only carry this if you’re in a very dry part of the country where you’ll be unable to find natural springs and rivers. 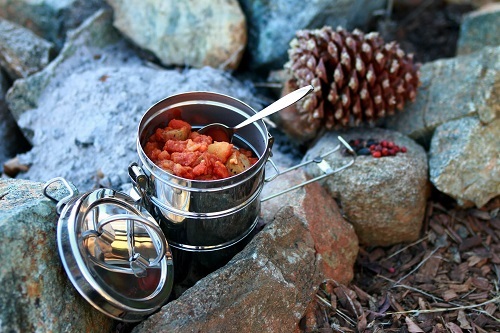 Camp Stove – The Solo Stove is an excellent option. All you need for fuel are some small sticks and twigs. Can Opener – Just like water, canned food is a bit heavy, but if you’re in a dry area, some canned fruits or veggies could be good because you can drink the water they’re packed in. Anyway, if you bring canned food, you’ll need can opener. Canteen – Any canteen will work here so long as it’s high quality and doesn’t leak. Collapsible Bowls – Collapsible means they will be much easier to store. Collapsible Water Bottle – This would be useful for water you find along the way. Cook Set – A basic cook set will take up some space in your bug out bag, but on the bright side, it will make cooking significantly easier. Fishing Kit – Fish are an excellent source of protein, and having the ability to catch them will be a major plus in any survival scenario. Get a small kit that won’t take up much space. 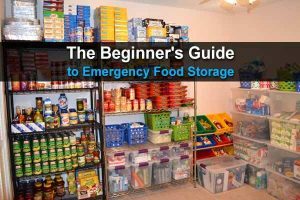 Food – The best food for your bug out bag will be food that is nutritious, long-lasting, compact/portable, and doesn’t require freezing or refrigeration. Here are 30 options. Fuel – You’ll need fuel for your alcohol stove. I recommend denatured alcohol, but you can also use rubbing alcohol or Heet. Multivitamins – Not truly necessary, but an excellent addition to your main food. Spatula – A spatula is one of the most versatile cooking items there is, and you’ll have a hard time cooking much without it. Utensils – You could bring some plastic utensils, but you’re better off with a single, multipurpose utensil that you can reuse, such as a titanium spork. Water Bottle with Filter – Although a collapsible water bottle takes up less space, this one is incredibly convenient because the filter is built in. Just fill it with water and drink. Water Filter – If you don’t get a water bottle with a filter, then consider getting a LifeStraw. With it, you can drink directly from the water source. Millions of people from all over the world use the LifeStraw. Water Purification Tablets – Water purification tablets are really great for eliminating harmful bacteria and pathogens that you can’t see in the water, in contrast to removing the visible sediment that filters are good for. Goetland Stainless Steel WWII US Military Canteen Kit 1QT with 0.5QT Cup Nylon Cover G.I. Even the smallest of injuries can have monstrous of consequences in a survival situation. This is why having a complete first aid kit, and being familiar with the items in it, is absolutely essential. 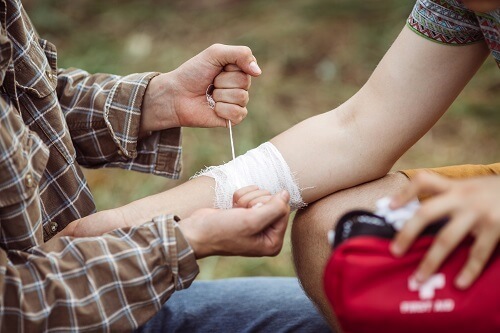 First Aid Kit – A true first aid kit should come in its own small pack for ease of storage and organization, and should come with all the basic medical items you need including bandages, gauze pads, medical tape, anti-bacterial wipes, aspirin/tylenol/ibuprofen, and so on. Imodium A-D – Imodium is anti-diarrhea medicine. It will help keep you from getting dehydrated if you’re sick, and it’s potentially a must-have item if you’re on the move. N95 Masks – Useful during a pandemic, while doing emergency surgery, or if there’s dust in the air after a building collapses or explodes. QuikClot Gauze – If ordinary gauze isn’t enough, use QuickClot gauze. It has kaolin, a mineral that speeds up your body’s natural clotting. Tourniquet – Some wounds are so severe, bandages aren’t enough. In cases like that, only a tourniquet can stop the bleeding and save the victim’s life. Imodium A-D Anti-Diarrheal Softgels with Loperamide Hydrochloride, Diarrhea Relief Medicine, 24 ct. Personal hygiene is easily the most overlooked category of items when it comes to putting together a bug out bag, and yet it’s so important because sanitation standards are going to drop dramatically in a disaster scenario. Bug Spray – Not essential, but it will be great to have on hand for keeping mosquitoes and bugs away. If you live in an area with lots of mosquitoes, don’t forget this. If you’re concerned about DEET, try this organic, DEET-free repellant. Chapstick – Besides the obvious use of helping chapped lips, chapstick has many other uses such as getting a fire going. Dental Travel Kit – For oral hygiene, obviously. Also, consider including some floss since it has many other uses. Deodorant – A simple travel-sized antiperspirant deodorant stick is a nice thing to have, especially in warm climates. Hand Sanitizer – Hand sanitizer is excellent, not only because it can eliminate harmful bacteria, but because it can also be used to get a fire going or make your hands less sticky if you come into contact with tree sap or glue. Lotion – Not essential, but it will be in short supply during a disaster. Mirror – Definitely critical to have so you can shave or see injuries on your face, and furthermore, you can use it as a signaling device. Shampoo & Conditioner – It’s debatable how important it is to keep your hair clean. It depends on the scenario. Shaving Kit – Again, it depends on how important this is to you. A single razor and a travel size bottle of shaving cream will do. Soap – This is the most basic personal hygiene item out there, and it’s absolutely worth including in your bag. Solar Shower – This weighs about a pound and only works if you can stay put during daylight for a few hours, so it might not be worth taking in most scenarios. On the other hand, if you expect to be gone for many days or weeks, this could be the only way to take a shower. Sun Block – Sunburn actually comes with a number of bad health detriments, so in the summertime, this will be essential. Toilet Paper Tablets – These are awesome. Just add a little water and they expand into wipes. Otherwise, just a flattened roll of toilet paper would be good, but the tablets take much less space. Towel – Be sure to get a microfiber towel as they are incredibly absorbent and fast drying. Wipes – These are a must so you can keep yourself clean when there are no baths or showers available. I like the Combat One Tactical Bath Wipes, but you could use ordinary baby wipes. Travel Size Hygiene Products – If there are any other hygiene products you don’t see on this list but you believe you will need, feel free to include travel sized versions of them in your bag. All Weather Blanket – Don’t settle for Mylar blankets, which are cheap and tear easily. These all-weather blankets are moisture resistant and retain 80% of body heat. Bandana – A candidate for the most versatile survival item of all time, bandanas can be used for dozens of things. Carabiners – Carabiners are very useful to have on hand for building shelter with paracord, or attaching things to your bag. Clothes – Always carry an extra set of clothes in your bug out bag in the event that your existing clothes become wet. Dry socks, in particular, are necessary to prevent trench foot (AKA gangrene). Roll your outfit into a skivvy roll so it doesn’t take up as much space. Gloves – Leather work gloves are essential for keeping your hands and fingers protected (and warm) while you work. Goggles – Goggles will be necessary for protecting your eyes from dust storms or inclement weather. Hat – I like boonies because they keep the sun out of my eyes. Mylar Blankets – Although they’re not as good as the all-weather blankets mentioned above, they can be used as a ground sheet. Neck Gaiter – These are great for helping you keep warm. Pantyhose – This is a weird one, but pantyhose can actually be useful in a survival situation because it can be used to prefilter water, prevent bug bites and blisters, and many other things. Plus, they’re virtually weightless and take up very little space. Paracord – 550 paracord is an absolute must-have in any bug out bag. It can be used for everything from building shelter to setting up a perimeter to rappelling down a ravine. Poncho – These aren’t just for staying dry when it rains. A good military poncho can be used to make shelter, collect water, make a stretcher, and all sorts of other things. Sleeping Bag – These are anywhere from 2 to 4 pounds, so I would only include one if you’re bugging out in the winter. The brand I’ve been very happy with is Mountain Hardwear. 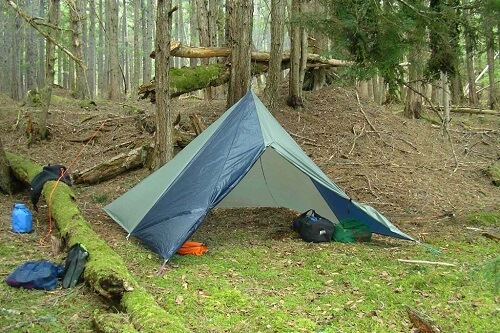 Tarp – There are many ways to make a shelter with a tarp. Even if you’re an expert at building shelters from scratch, using a tarp is much faster and more convenient. You need tools and weapons for fixing gear, building shelter, hunting for food, butchering small game, defending yourself, and so forth. Hatchet – This would be very useful if you bug out to the woods and need to build a shelter or chop wood for a fire. 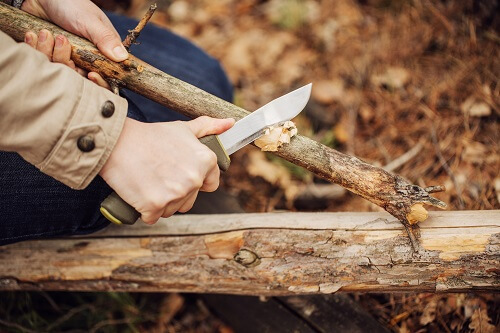 Knife (Fixed Blade) – A fixed blade knife is a no-brainer for survival, and is arguably the most essential survival item of all time. Knife (folding) – A folding tactical knife with a smaller blade will be good as a back-up or alternative to your fixed blade knife. Knife (pocket) – A classic Swiss Army pocket knife can be used for more precise work. Machete – A machete is big and bulky, but no one can deny its effectiveness as a defensive weapon or for hacking your way through the brush. Multitool – A basic Leatherman multitool with a pair of pliers will be an invaluable item and even better to have on hand than a Swiss Army knife. Rope Tightener – If you have paracord, you’ll want this too. It makes it much easier to tighten cordage at the length you need. Saw (hand chain) – A basic small hand chainsaw can be used as an alternative to a hatchet for cutting through firewood. Scissors – Scissors are a great medical item to have on hand, and can also be used for a number of other things. Shovel (folding) – For digging trenches, shelters, latrines, or for hacking ice, or as a defensive weapon, a folding shovel is not something to overlook. Slingshot and Rounds – Don’t underestimate the power of a good slingshot. They can be used for bringing down small game without making too much noise, or as a defensive weapon. Wrench (adjustable) – A valuable tool to have on hand, in addition to a hammer or a screwdriver. Duct Tape – One of the most versatile of mankind’s inventions, duct tape has dozens of uses. Consider getting some multi-colored duct tape so you can use it for leaving messages or marking a trail. Dry Sacks – Great for keeping things dry, compact, and organized. Ear Plugs – Most people don’t think of earplugs, but they could be very useful in an urban area after a major disaster, where emergency vehicles with loud sirens are constantly passing by. Flash Drive – A flash drive can store lots of valuable information for you that you won’t want to lose. Since so many of our documents today are electronic/digital, a flash USB drive will be necessary. Gorilla Tape – This stuff is great for small repairs as it sticks to rough and uneven surfaces. Some people like to wrap their lighters in gorilla tape, that way whenever they need a small piece of tape they can just tear it off their lighter. Important Documents – Examples include a copy of driver’s licenses, insurance cards, passports, receipts of expensive purchases (such as firearms), medical records, and birth certificates. Keep them all in a waterproof bag such as a Ziploc bag. Money – Important for bartering with others or to buy food and water in a post-SHTF world. Ideally, you would bring plenty of cash along with some small silver and gold coins. Pencil Sharpener – Using a pencil sharpener is actually a very creative way to get small pieces of tinder. Playing Cards – Great for passing the time. Make sure you get the kind with survival tips printed on them. 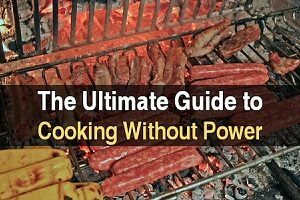 Pocket Survival Guide – The SAS survival guide is a very compact and yet informative survival book that teaches you everything from creating fires to building shelters, with detailed step-by-step instructions of how to do so. Power Bank – A portable USB power bank is a necessity for a bug out bag if you have any USB items with you. Ranger Bands – Great for lashing multiple items together, or for attaching accessories to firearms. Solar Battery Charger – If you have any rechargeable batteries, you’ll need a battery recharger to. 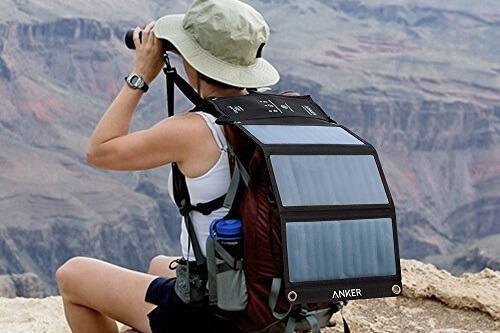 Solar Panel – Get the kind you can hang on the back of your bug out bag so you can charge devices while on the move. Trash Bags – Easily one of the most overlooked survival items of all time, a trash bag can be used for everything from making a raft to a makeshift clothes washer to a shower to a mattress, to name a few things. USB Car Charger – If you have a bug out vehicle, don’t forget to bring a car charger. USB Phone Charger – Be sure to get a “fast charger” so you’re not waiting all day to charge your phone. Waterproof Case – If you need to store anything that you can’t afford to get wet, such as a smartphone, then you better have a waterproof case in your bag. Writing Materials – A pen, a pencil, a pad of paper for notes, chalk or Sharpies for leaving messages, and so forth. Zip Ties – A good alternative to paracord for building shelters or lashing items together. Ziploc Bags – For organizing your stuff and keeping it dry. There you have it, my top 100 bug out bag items. What did I forget? The Japanese Silky F180 Saw is fantastic. Not sure if it’s available as an affiliate product, but it’s roughly $33 as of early January 2018 on Amazon. It’s light, and it works very well, to provide fuel for a campfire. I have seen reviews of this saw from Survival Russia and Nutnfancy (YouTube channels). My idea is that providing shelter, water and fire are top priorities if out in the wild. I believe that minimizing the calories expended to get fire wood, and the time it takes is also of paramount importance. I simply do not want to use a hatchet to obtain fire wood. I think the Silky would be valuable. I’ve obtained a Silky Saw model F180. This is a Japanese saw and is light, and works well for campfire sized fuel prep. I think this chain saw is good, from what I can see, but a decent folding camp saw is a plus. I’d suggest you include a small saw like the Silky 180 in your list for tools and weapons. The rope saws are problematic (a video by Nutnfancy who is very thorough with this kind of review shows it wrecks hands and gloves, and is very difficult to rely upon). A small folding saw with great blade like the Japanese Silky allows us to do what we really want to do with a saw: Process fuel for our fire. The Silky can run through fuel prep far faster than smaller saws would allow. Time and calories saved here can be important. The Silky small version (180) is pretty light, and since it’s roughly the shape of a portable saw handle, it can be stuffed into a vertical pouch on a pack, or even hung off the side. A good hammock will save you a lot of energy by nỏt having to build shelters. Get off the ground and sleep well in a jungle hammock. Hammocks are fine but they won’t protect you from a bear attack and they aren’t conducive to romance.XD I,’m joking but I am also serious too because no mater how tough a warrior or survivalist is sooner or later you will get sick , a fever or infection and you are out of commission. You will need someone to take care of you to survive. Not to mention also a person loses morale and reason to go on if they don’t love someone or something. I mean if your alone what are you surviving for just so civilization can come back together. And you can pay taxes to a corrupt leader and have to pay a police officer to tell you how to live or what’s right. Even if it’s only a dog, cat, or rat they can keep you grounded when supplies and morale get low. A person should also consider mosquitoes netting because it wouldn’t be long before mosquito carried diseases became a problem again and some of those have a 50/50 survival rate and that’s if you have support. A metal rảt trap for catching rat, squirrel, birds, snakes. Traps are light weight and dont take up space. They can also be used a trip alârm to warn you of anything coming into camp. The only thing I see that you left out, was the kitchen sink. JUST KIDDING. All in all a good list. Once I made the mistake of loading too heavy. Being used to hiking through rolling hills, I joined a friend in Tennessee for a hike on the Appalachian trail. I fell backwards, landing, without injury,on my back. I now know how a turtle feels.Had to shed my pack in order to get up.